“It looks like were on the moon” That’s the first words my son said when he looked out to see the red rocks that surrounded us on our way to Arches National Park. You really can’t imagine how unique the landscape is from anywhere else in the USA until you see it. Arches National Park is home to over 2000 natural stone arches and and hundreds of stone pinnacles. It is breathtaking. Take lots of water, go for a drive and hike the trails. It’s a red rock wonderland. Utah looks incredible. I have to go! Cool blog! http://www.discovermoab.com/attractions.htm has pages for Moab’s parks and visitors will find a pdf of the park map that are given out upon entry. 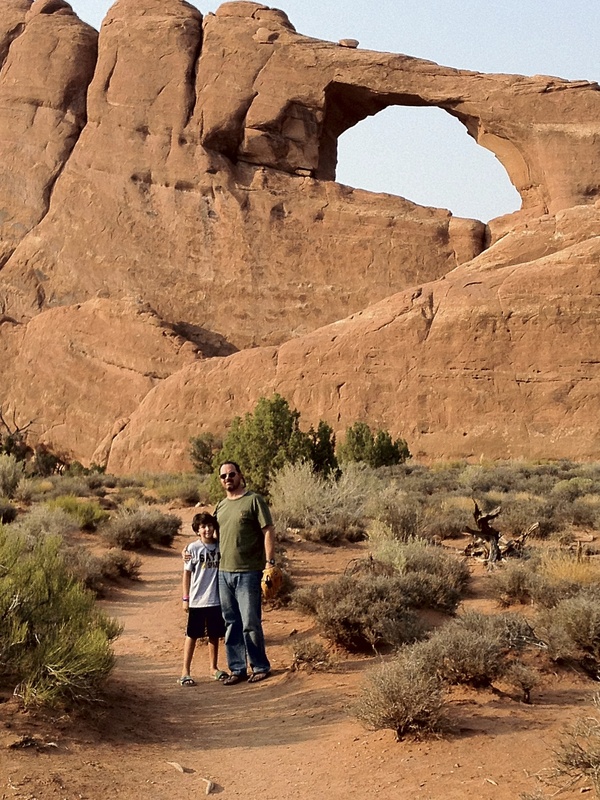 VERY helpful to preview when planning to explore Arches (and Canyonlands/National Park and Dead Horse Point/State Park).